The first Senate bill of 2019 would finalize a $38 billion aid package to Israel, combat BDS, and rebut Trump’s attempt to withdraw troops from Syria…. 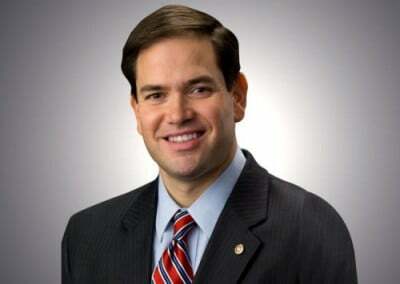 According to Marco Rubio, the first bill the 2019 U.S. Senate will take up is one that is focused on Israel. His twitter announcement shows a number of people suggesting that he should instead focus on getting the U.S. government running. The four-part bill, designated S.1, is composed of measures on behalf of Israel that Congress tried and failed to pass in 2018. Some were pioneered by AIPAC, the American Israel Public Affairs Committee. The first component is the “Ileana Ros-Lehtinen United States-Israel Security Assistance Authorization Act of 2019” – the 2018 text can be seen here. This would give Israel $33 billion over the next ten years in addition to the $5.5 billion enacted in last year’s defense spending bill. This is reportedly the largest military aid package in U.S. history. The bill was held up by Senator Rand Paul, who threatened a filibuster against it. Most Americans feel the U.S. already gives Israel too much money. Unlike the memorandum of understanding (MOU) that the Obama administration negotiated with Israel in 2016, this would make the $38 billion a floor rather than a ceiling and cements it into law (an MOU is non-binding). It also provides Israel additional perks, including calling for NASA to work with Israel’s space agency, despite Israel’s alleged acquisition of classified U.S. research. Another component of the bill is the “Combatting BDS Act of 2019” (the text of the previous version is here). This allows state and local governments to prohibit contracting with any entity that participates in BDS, the boycott of Israel over Israel’s violations of human rights and international law. Many groups and individuals oppose the bill on the ground that it violates freedom of speech. AIPAC is a strong supporter of such legislation. A third component is “The United States-Jordan Defense Cooperation Extension Act,” which would provide money to Jordan. Israel has long used U.S. aid packages to Mideast governments to enable Israel’s regional divide-and-conquer strategies. Similarly, the fourth component is the “Caesar Syria Civilian Protection Act of 2019” (2018 version here), which imposes sanctions on Syria. Roll Call reports that the bill “could serve as a rebuttal” to President Trump’s recent announcement that he was going to withdraw troops from Syria. Israel and its American partisans are strongly opposed to the withdrawal. The chairman is Sen. Jim Risch, R-Idaho. According to Open Secrets, one of Risch’s main sources of campaign donations is the pro-Israel lobby. Image from video of Risch’s speech at AIPAC convention; view it here. It appears that none of the U.S. news reports on the legislation inform voters how much U.S. tax money the bill will give to Israel; many reports don’t even mention that aspect of the bill. This continues the media omission on this subject.